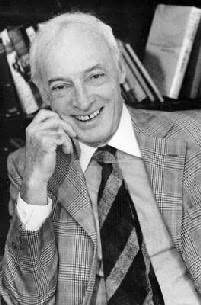 Saul Bellow, born Solomon Bellows, was an acclaimed Canadian-born American writer. He won the Nobel Prize in Literature in 1976 and the National Medal of Arts in 1988. Bellow is best known for writing novels that investigate isolation, spiritual dissociation, and the possibilities of human awakening. Bellow drew inspiration from Chicago, his hometown, and he set much of his fiction there. His works exhibit a mix of high and low culture, and his fictional characters are also a potent mix of intellectual dreamers and street-smart confidence men. While on a Guggenheim fellowship in Paris, he wrote his best-known novel, The Adventures of Augie March. "When asked for a list of the best Americas writers of the younger generation, I invariably put the name of Padgett Powell at the top." "Marvellously written - the last thing you would expect in a story of blood and revenge. Beautiful." "One of the very best writers of his generation." "A book that rewinds us again and again of Jesus's gospel of love."